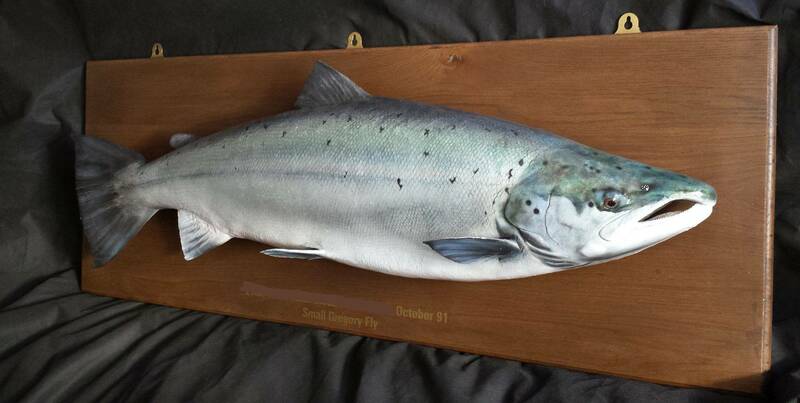 The open weekend at the Glasgow angling Center each March and Septemeber is a fantastic three day event for us with lots of people stopping for a chat and of course to look at my work. 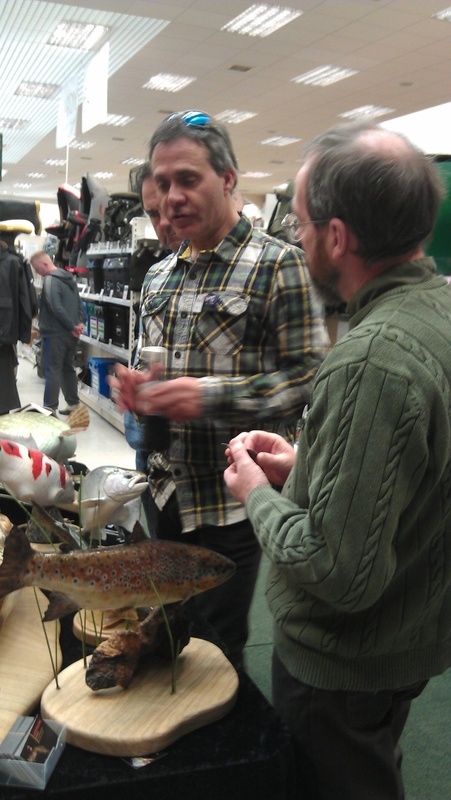 There are fishing celebrities there on the weekend and all come over for a look and a chat, and even to buy ! These include the likes of Matt Hayes, Paul young, John Wilson, and Hywel Morgan. The staff at the center are great, and we would like to thank every single one of them for their help, it would be unfair to pick out individual names as they all helped out, but I must mention Gary, he was the one that got me started at GAC, but a big thanks to them all ! The owner of the angling center, Mr Paul Devlin is a great guy and I can not thank him enough for everything he has done for Fishrecreations. The three days are hectic at times ! the store is huge and the open weekends attracts thousands of people, most of whom stop for a chat ! the local Glaswegians are certainly a friendly lot. 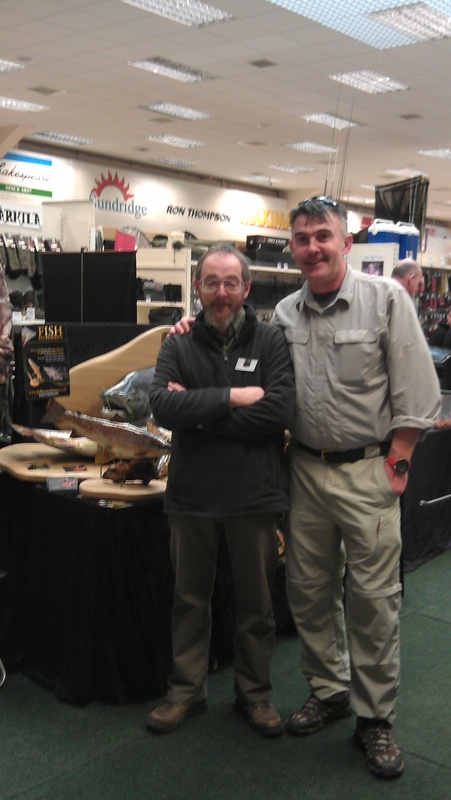 We meet people from all over the UK, many even came across from Ireland just for the 3 days ! 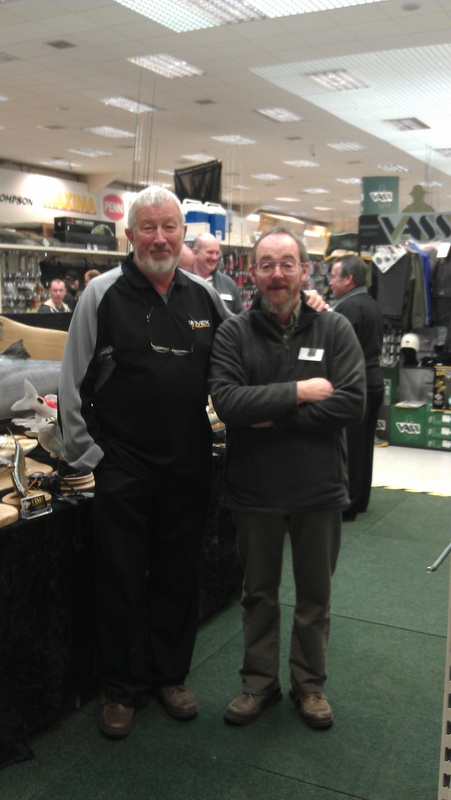 It is great to see familiar faces and chat about fishing experiences. Even better to take a few orders though ! You can see lots of pics in the GAC album, but here are a few highlights of both shows. More pics to come over the next few weeks as people get them out to me. Matt Hayes taking a look at my work. 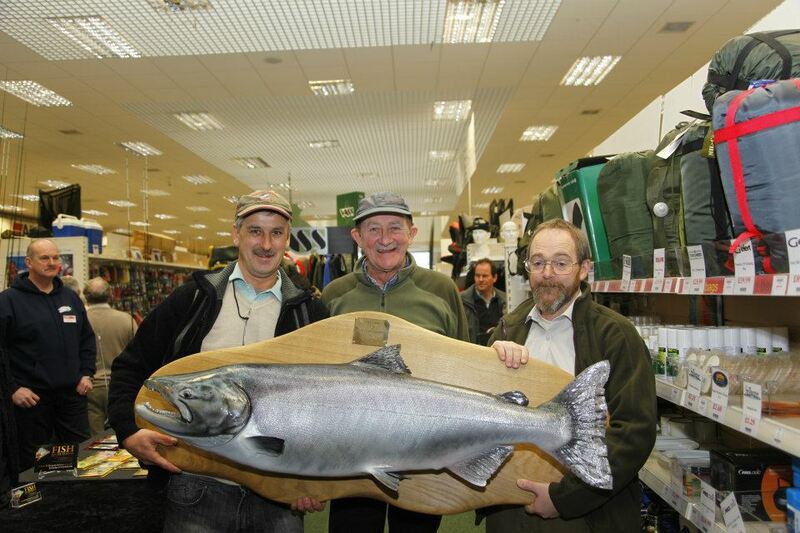 A happy customer, Mr Alex Gillespie collecting his 47lb King Salmon, luckily Paul young was on hand to help out. John Wilson, I spent most of the three days watching Johns DVDS !